Reservoirs created by constructing dams across the rivers in different regions of the country have come to the attention of people at large only in recent times, not due to their feature of full-to-the-brim but due to its antithesis of water levels hitting rock bottom. People of the region between the two major cities of Karnataka namely, Mysuru and Bengaluru, receiving the bounty of Cauvery river’s water in the reservoir of Kannambadi Katte, constructed nine decades ago have taken both nature and its gift for granted, given their utter neglect of the care in the matter of avoiding wasteful ways in using treated water estimated to be one-third of the water drawn from the reservoir and brought to the doorstep of citizens, costing nearly 20 rupees for every 1,000 litres, according to an estimate published in the media not too long ago. Figures of inflow into the reservoir, outflow, their rates expressed in technical terms (cusecs) as well as capacity (tmc ft), volatile as they are between days of rain and rest of the year, don’t seem to arouse common people to use water frugally. 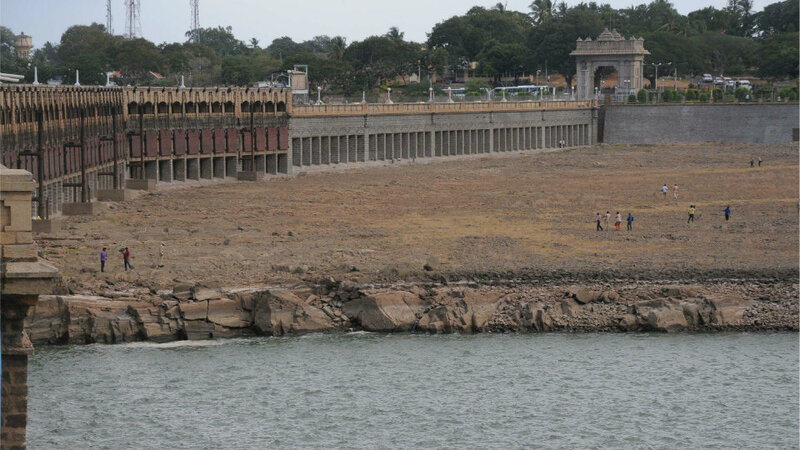 Karnataka State has 236 dams, out of which 44 are reportedly of more than 100 years vintage. While quenching the thirst of humans and livestock is to be accorded priority, the needs of agriculture and industry come close on its heels even as the consequences of scarcity of water to hydel plants don’t need to be elaborated. Emptying the river beds of their sand stock on the ongoing scale has already done the damage. While the reservoirs witness fullness with water level reaching their maximum, Ministers rush to their sites to offer bagina, more for a photo shoot than to express gratitude to the rivers and nature for showering their bounty. We have seen them quietly remaining reticent only to conceal their sense of guilt in blessing every kind anti-water acts of their henchmen, particularly the sand mafia. A pragmatic, although short-term, remedy to the water-shortage situation seems to be to increase the storage capacity of the reservoirs by removing the mass of silt (granular material of size between sand and clay settling as sediment at the base over years), rich in minerals and organic matter enriching soil fertility. This remedy also applies to the lakes which supplement water resources needed for raising crops and quenching the thirst of livestock. The magnitude of reduced storage capacity of reservoirs can be visualised from the officially reported information that out of 9.691 tmc ft (Thousand Million Cubic feet at one cubic foot being equal to 28 litres) of dead storage in the Cauvery reservoirs, 7.654 tmc ft is silt. If that mass is allowed to remain in the reservoirs, the dams shall remain damned.